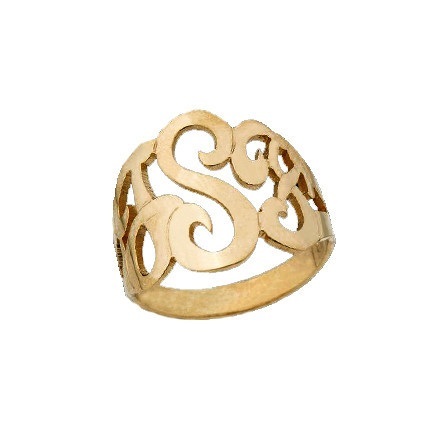 As seen in Lucky Magazine – Gold filled or Sterling Silver Monogram Signet Ring with freeform script monogram. Please indicate your choice of finish, size and three letter monogram below. As all monogrammed jewelry is custom made to order especially for you, rings are not returnable. Please allow 3 weeks for delivery.